‘Perth Landscaping & Gardening Group‘ is a versatile service provider aiming to assist in all areas of the garden. Here at Perth Landscaping, we take pride in delivering professional services and high quality results to both commercial and residential clients. Offering a wide range of landscaping services from laying artificial grass and decorative stones & gravel to the construction of composite decks and elegant patios, we like to think that there’s no job too big or too small for us. Whether you need some help with a simple landscaping update or a major renovation, you can trust us to get the job done. Professional integrity is important to us, and that’s why we strive to deliver high-quality services at a reasonable price. Developing long-term relationships with many of our clients, we like to think that our work will stand the test of time – ensuring you’re happy with your garden landscape both now, and in the years to come. 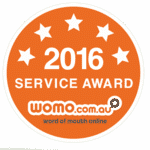 Winner of the 2016 Australian Achiever Awards for Excellence in Customer Service. 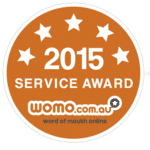 Winner of the 2017 Australian Achiever Awards for Excellence in Customer Service. With many years of experience behind him, our Landscape designer and director of Perth Landscaping, Thibaut (Tibo) has a thorough knowledge of the industry; from landscape garden design to plant care, pruning, soil health and weed control. Known for his organised and disciplined approach to all landscaping projects, Tibo is able to deliver efficient, high quality services to his clients. Thanks to his creative vision and love of the outdoors, he truly enjoys helping clients transform their gardening dreams into reality. We believe every garden tells a story. It’s identity is a reflection of you, your personal style, your home and the experiences you share within it.